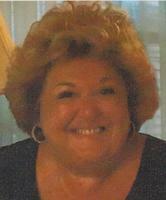 Provide comfort for the family of Anne Adamo with a meaningful gesture of sympathy. ANNE R. ADAMO, 71, born Anne Rose Ficarra, made her journey to Heaven on Monday, February 11, 2019. She was a devoted wife to Joseph for 49 years; loving mother to John, Jennifer, and Joseph, Jr.; mother-in-law to Dawn, Tom, and Carrie; and proud grandmother to Emily, Avery, Isabella, Ruby, Jack, and Jo-Jo. Anne also leaves behind her brother Joseph and many cousins, nieces, and nephews, along with her dear friends, whom she considered family. Whether it was cruising to the islands, taking an overnight trip to Atlantic City, or spending the day shopping with her girlfriends, Anne lived life to the fullest. Her presence could fill a room with joy and laughter. She dearly loved her family, making each time together a special one. If you were lucky, she would bring a tray of her seven-layer cookies, her legendary coffee cake, or her famous potato salad. Anne had a special way of bringing smiles to the faces of all who knew her. She will be greatly missed by all who loved her. In Anne's honor, treat yourself to a nice cup of coffee and a piece of chocolate cake. Please don't cry because she's gone. Instead, be happy that she was here ... OK, maybe cry a little. After all, this was Anne (with an "E"). Relatives and friends are respectfully invited to attend Anne’s Celebration of Life from 5-9 PM on Thursday, February 14, 2019, at the GEORGE S. HASSLER FUNERAL HOME, 980 Bennetts Mills Rd., Jackson Twp., NJ 08527. Her Funeral Liturgy will be offered at 9:30 AM on Friday, February 15, 2019, at St. Aloysius Roman Catholic Church, 935 Bennetts Mills Rd., Jackson Twp. Please gather at 9:15 AM at the church. Interment will be private. 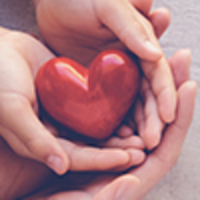 In lieu of flowers, contributions may be made in Anne’s memory to Memorial Sloan Kettering, Monmouth Campus, 480 Red Hill Rd., Middletown, NJ 07748 or donate online at http://mskcc.convio.net/goto/AnneAdamo and would be greatly appreciated. For directions, further information, and to send condolence messages to the family, please select a tab on the left. Please gather at 9:15 AM at the church. Donations are being accepted for: Memorial Sloan Kettering, Monmouth Campus. Consider providing a gift of comfort for the family of Anne Adamo by sending flowers. Amir Madjlessi & Business Banking Leadership Team sent flowers to the family of Anne R. Adamo (Ficarra). Our sincere condolences to you and your family. I will miss my friend, our talks, her laughter and smile that just touched my heart. We will miss our dear friend Annie. Her infectious smile lit up the room. Joe, Our deepest sympathies during your time of loss, our thoughts and prayers are with you and your family during this difficult time. Amir Madjlessi & Business Banking Leadership Team purchased the Gentle Thoughts Spray for the family of Anne Adamo.